While pest control can be very effective, especially when it is proactive pest control, sometimes we are left with no choice but to resort to extermination. What’s the difference? When does it matter? Pest Control can refer to the regulation or management of any species that is perceived to be detrimental to a person’s health or environment. Since ancient developments in agriculture and farming we have been implementing different methods of pest control. However, the evolution of pest control from these times to the present has raised many concerns such as animal welfare and animal psychology techniques rather than destruction. We must acknowledge that most pests are only a problem because of our own actions. Therefore modifying our actions is the most proactive form of pest control. This is the type of pest control that all families should implement. It will prevent damage and is the least intrusive to the animals that we share our communities with. Examples of proactive pest control include proper waste management, bins with locking lids, keeping human food away from birds and other animals, use of fences and other barriers to distance animals from vulnerable areas such as gardens and dumpsters. Another interesting form of proactive pest control is biological, control of pests through management of natural predators and parasites. A very simple form of biological pest control is encouraging foxes in an environment because they will control the rabbit population, or by putting certain bacteria in water that infects mosquito larvae, to control the mosquito population. Once a pest has proven itself to be a pest, there are many different techniques to remove them safely, depending on the type of animal and surrounding environment. If a critter has broken into your home there are many different techniques a professional will use to remove the animal with as little harm to it as possible. Professionals can remove bats, birds, racoons, skunks, squirrels and other rodents by trapping them and releasing them into a safe environment where they hopefully will not find themselves being pests again. Some pests require much more extreme treatment, and unfortunately in some cases the safety of the pest cannot be a priority to the exterminator. 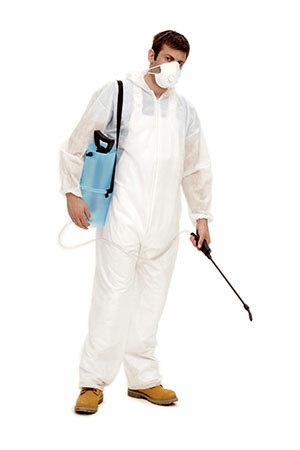 Often exterminators will go to extreme measures in the case of infestations. This is most commonly seen when different bugs have taken over a home. Spiders, bed bugs, cockroaches, bees, wasps and hornets all have to be dealt with through extermination. Often times the dwelling will have to be evacuated so that professionals can take over the environment, often using poisons or other potentially harmful tools to humans that will completely wipe out any pests in the home. If you choose the right pest control professional, you can be guaranteed that going through any exterminations or other types of pest control will be done safely, effectively and timely to ensure that your living environment and your health is protected. This entry was posted in Blog and tagged pest control, pest extermination on 2014/11/24 by Any Pest.